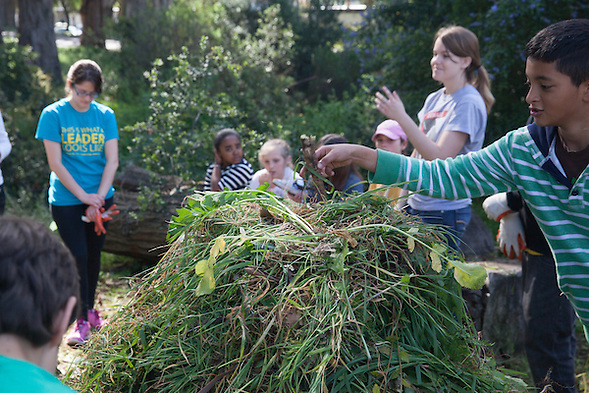 During both visits, students learned about native plants and the natural environments supported by a native ecosystem. 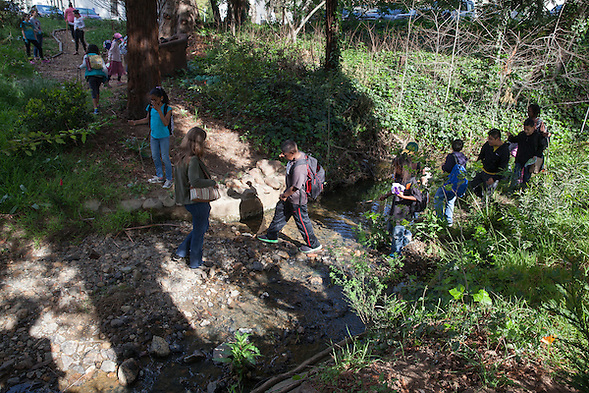 This year, Mills College students taught MLA students how to remove invasive plant species so that natives can return to the creek bed. Future leaders taught future leaders, so that older leaders could be replaced. 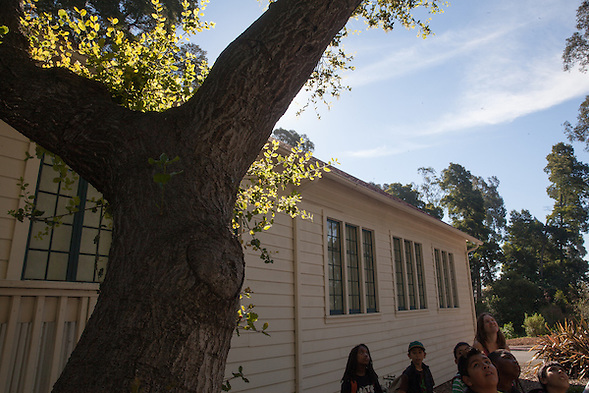 Mills College has been recruiting and training leaders since the late 1800’s. When Mills first opened, many US colleges excluded women. Women were not seen as leaders, at least not the same way that men were viewed. Young men would not have wanted to attend Mills, because … well, because Mills was a “girls school.” Some folks would not want to attend Melrose; it does not look right. The school does not sound right, especially when the students speak Spanish. Outsiders can’t easily measure the school’s value, or outsiders choose to value something else. And yet, history proved that Mills created and recruited world leaders. As a photography teacher, I am continually amazed that Imogen Cunningham walked the same Mills campus that students walk today. (Imogen was neither a student nor instructor at Mills, but she was inspired there.) When I visit the Mills College Art Museum, I remember that Mills recruited visiting artists during WWII who might have otherwise perished in Europe. Mills College graduates influence the world of politics, educations, art, and other fields. 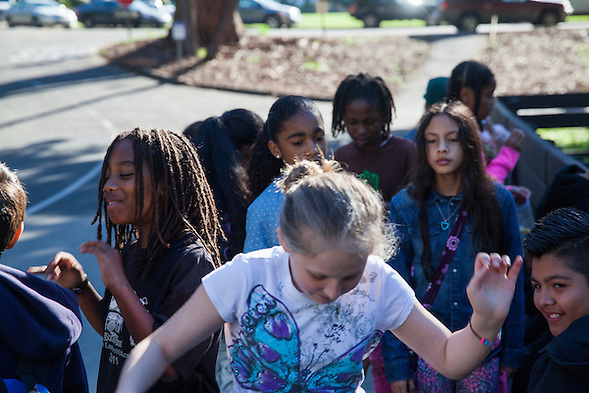 When educators create standardized tests, we ask questions about the origin of Oakland’s name. When we look for leaders, we look upward and see an Oak tree blossoming. 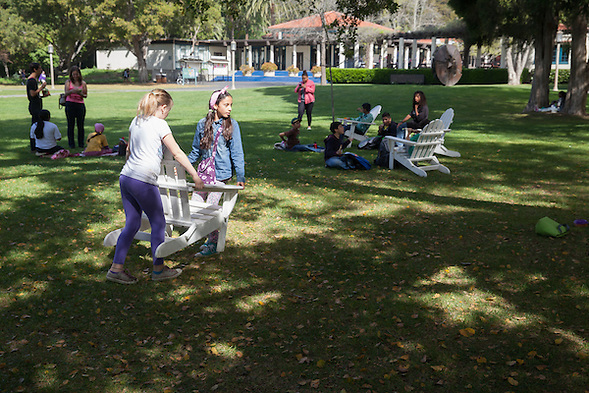 Britta Bullard, the Mills College sustainability coordinator, showed our students something new. The kids paused as their imagination expanded. This is another example of pioneers seeing something that most people will miss. When you measure API (Academic Performance Index), how many points does your school receive for Friday Night Movie Night… with drums and popcorn? 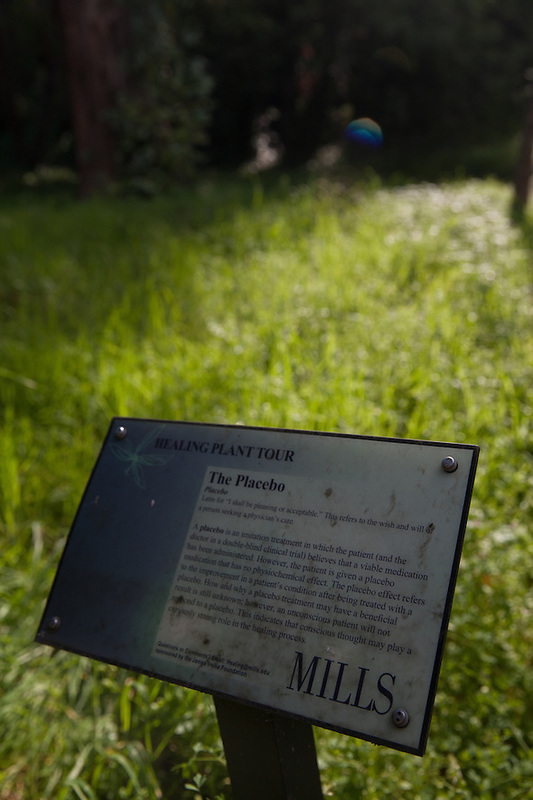 My favorite plant on the healing plant tour was “The Placebo.” Standardized tests are the placebos of education. Some people feel better when they take them… and some people take a lot of placebos. Do placebos measure leadership or aptitude? If being Julia Morgan were important, wouldn’t we search for the children who are already pioneers? This entry was posted on Saturday, March 21st, 2015 at 6:39 pm. 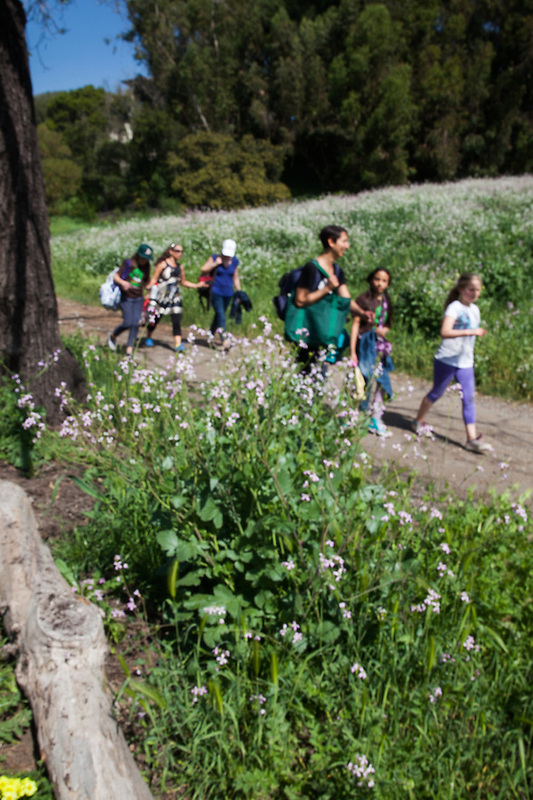 It is filed under Melrose Leadership Academy and tagged with dual immersion, field trip, Melrose Leadership Academy, Mills College, Oakland Unified School District. You can follow any responses to this entry through the RSS 2.0 feed. just checking in with your latest adventure. I love to start my day this way.